The town of Casalzuigno was built around 17th-century Villa Della Porta Bozzolo. 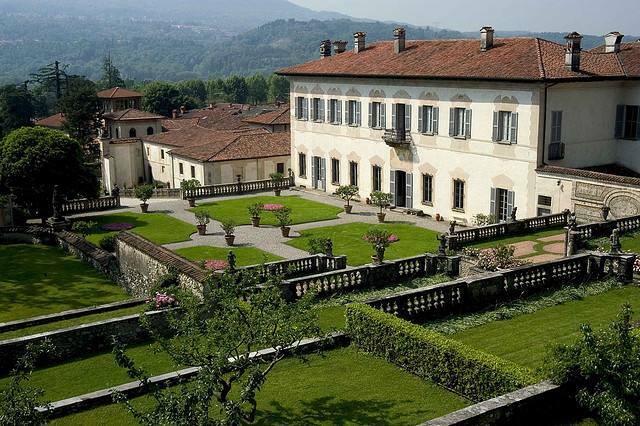 Also known as Favorita, it is one of the most important residences in the entire province of Varese. 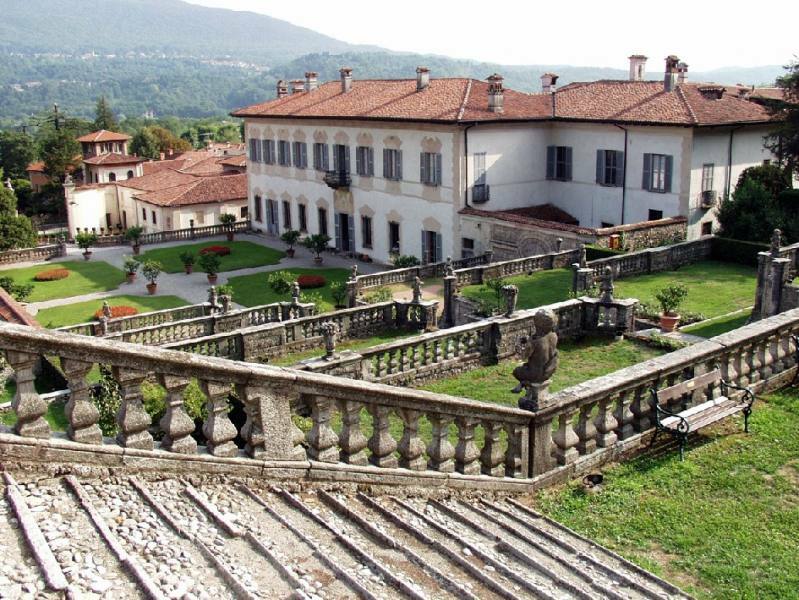 Other historic residences that can be toured between Varese and Como include Villa Cicogna Mozzoni in Bisuschio, Villa Panza in Varese, and Villa del Balbianello in Lenno (Como). 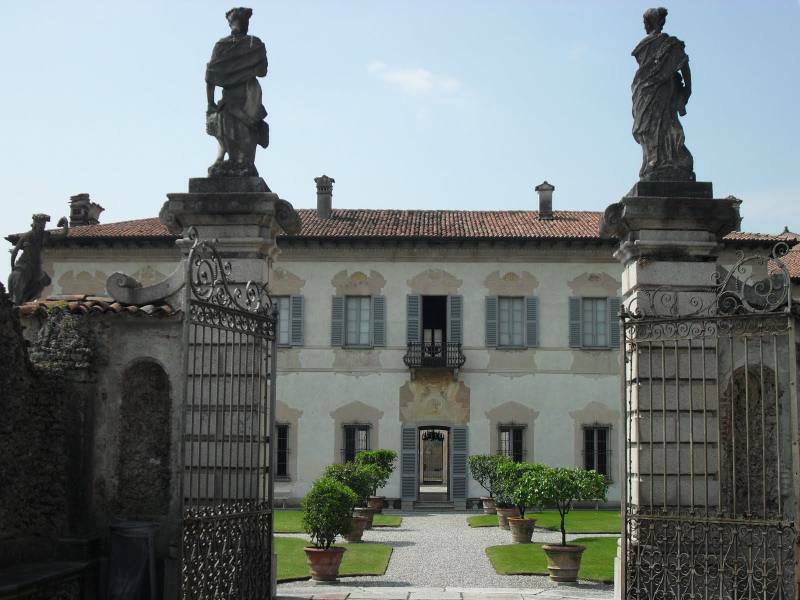 The family of notary Della Porta (originally from Porto Valtravaglia) chose Casalzuigno as its home in the 16th century. This is where Giraldino della Porta purchased a large piece of land and built a residence called domus magna, the vestiges of which are still visible today. 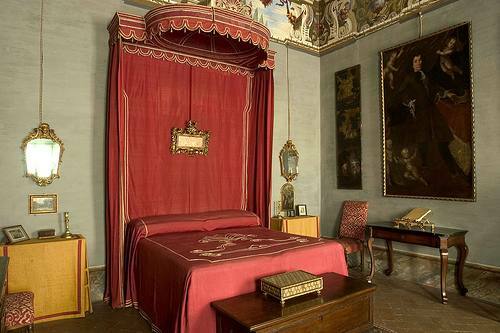 At the end of the 17th century and the beginning of the following century, Gian Angelo Seniore della Porta and Carlo Girolamo I made significant changes and improvements to the building, which took on its current appearance. 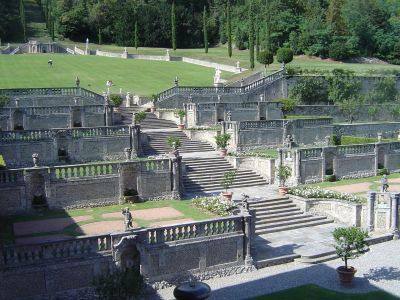 Gian Angelo III (son of Carlo Girolamo) is responsible for the marvellous Italian garden. Openly contrasting with the times which envisaged gardens aligned with the rooms of representation, he ordered an access path to be created to join the grandiose main flower bed with the others, and he commissioned four terraces accessible from a monumental flight of steps and a large field (the so-called theatre) closed off by a fountain with large niches. 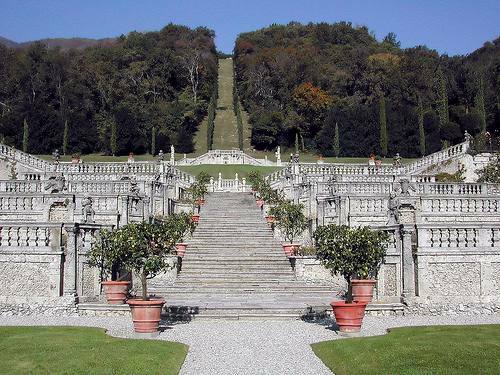 Originally only flanked by cypresses, a majestic zigzagging path started here towards the panoramic viewpoint on the top of the hill. 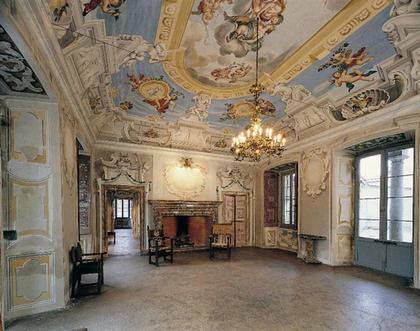 Gian Angelo III had the inside of the villa decorated with mythological and floral ornaments, which ideally referred to the garden. In 1752, he had the Oratory of Beata Assunta built, which was first used as the family chapel and later became the town’s parish church. 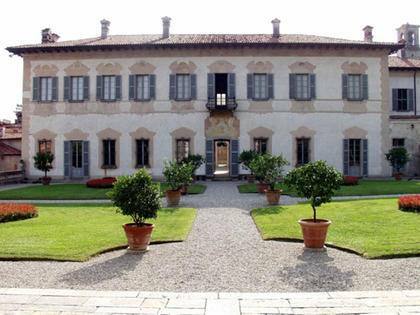 With the end of the Della Porta family in 1814, and after several vicissitudes, it was inherited by the Bozzolo family. In 1989, the family made an agreement with and donated it to the FAI Fondo Ambiente Italiano (Italian Foundation for the Environment). After having performed the necessary renovations, the foundation opened the villa and park to visitors. The villa’s essential, sophisticated façade has sills and pediments imitating cornices and peculiar 18th-century baroque frescos. The parterre opens out in front of the façade and steps ascend here, past the four terraces enclosed by balustrades (made with stone from Viggiù) and animated by cupids, to the theatre. Walking down the treed path leads to the panoramic viewpoint, where there is the little 15th-century Church of S. Bernardino. 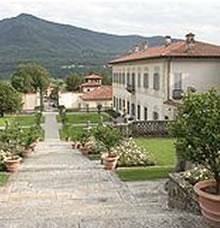 Another path starts from the parterre, crosses a solemn gate dominated by four statues depicting the seasons, and leads to the secret garden (named this way for the sense of remote intimacy it instils). A lime-tree path ends here in an aedicule with pronaos, frescoed with a painting depicting Apollo and the Muses (most probably by artist G.B. Ronchelli). The first room entering the villa is the Sala da ballo (Dance Hall), with its significant marble fireplace and characteristic giarrone floor (smooth coloured cement to prevent hindered dance movements). After touring the other halls on the ground floor, the Cortile d’Onore (Courtyard of Honour) with its large stairway leads upstairs. Visitors are welcomed by a large, richly decorated gallery in rococo style. The main hall has several portraits of illustrious personalities from the Della Porta family.